English folk vocal harmony trio composed of Hannah James (vocals, piano accordion, clogs, foot percussion) Hazel Askew (vocals, concertina, harp, bells) and Rowan Rheingans (vocals, fiddle, banjo, bansitar). They sing traditional and contemporary folk songs as well as exploring the tradition of diddling or tune singing, which has nearly died out in England, but is still prevalent in Scandinavia and other parts of Europe. 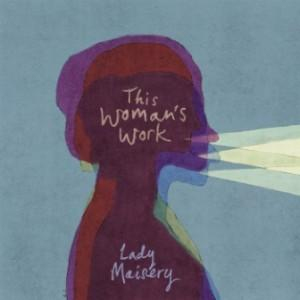 In 2011, Lady Maisery released their debut album 'Weave & Spin' and were subsequently nominated for the Horizon Award in the BBC Radio 2 Folk Awards, and for Best Debut in the Spiral Awards. In 2013, they released a charity download single to mark International Women’s Day on 8 March: a cover version of This Woman’s Work, with proceeds donated to the charity coalition 'End Violence Against Women'. This preceded the release of their second album, 'Mayday'. In 2016, they released their third album 'Cycle'. It was followed by a sell-out 23 date tour. Lady Maisery. Wikipedia, retrievd 26 September 2018.